It is never too early to start thinking about how to make your kitchen work better now and continue to work for you down the road. As a Certified Aging-in-Place specialist, we apply common sense accessible remodeling principles to make your kitchen and home “barrier-free” and provide the functionality you need. Most accessible kitchens focus on just a few key components, but they can make a lot of difference. Minor adjustments include installing additional lighting under cabinets, creating an extended prep space when installing new countertops, installing a sink that a chair can be placed against, or building an island that has a lowered sink and workspace. Major accessible kitchen remodels may include the minor features above plus lower base and upper cabinets, customized features, accessible cooktops, lowered light switches and raised outlets, and more accessible counter space. 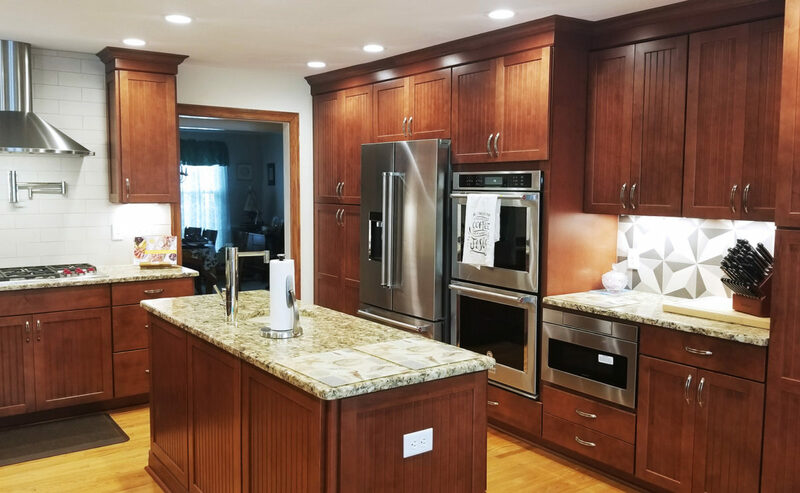 Our team of Remodeling Consultants, Designers and Project Managers will help you every step of the way with your accessible kitchen remodeling needs. Our process guides you through design options, selections of finish products, and the day to day communication and organization of your remodeling project. We back all of our expert craftsmanship with our Five-Year Workmanship Warranty.